Access to the largest pool of truly available travel nurses and allied professionals in the U.S.
Aya Healthcare has filled 100% of our needs. They delivered high quality candidates and their credentialing process has been exceptional. It has been so easy to fill our Utah nurse positions ever since we simplified things with Aya. Their travel nurse staffing solutions and exceptional service helped us meet our staffing needs quickly and consistently. We believe that you deserve the most qualified clinicians in the industry. Whether you need travel nurses, therapists, allied healthcare professionals, per diem staffing services or all of the above, we can deliver. 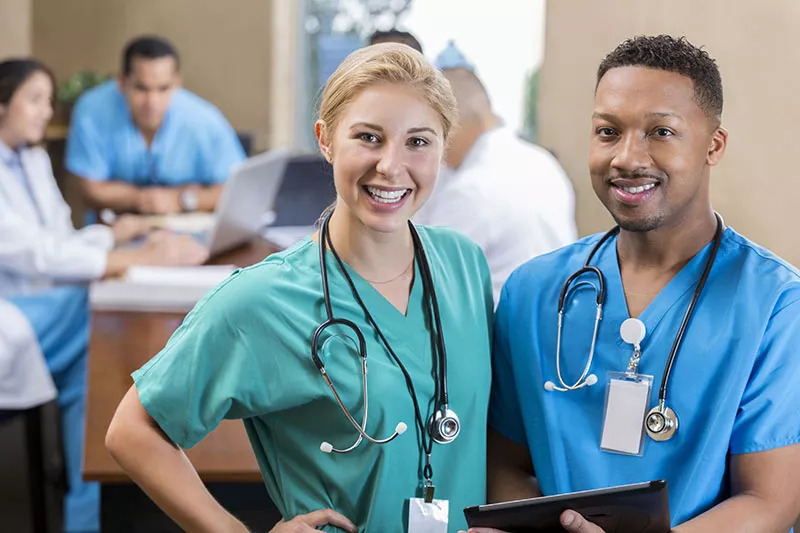 Our dedicated account management, clinical, credentialing and support teams, along with our robust recruiting force, all work together to deliver a high volume of quality travel nurses and healthcare professionals to your facility. Our stringent clinician-developed vetting methodologies ensure we employ the most talented people in the industry. And since we obsess about creating exceptional experiences for our travel nurses and healthcare professionals, we have one of the highest retention rates in the industry. Our clinicians are more likely to extend, which ensures better continuity of care and improved outcomes. We are hyper-focused on providing the industry’s best clinician experience. We created our Traveler Experience Department with the sole purpose of ensuring the happiness of each of our clinicians on every assignment or per diem shift. Traveler experience team members are on call 24 hours a day, seven days a week to provide constant support for our clinicians. That means if a traveler misses his or her connecting flight and calls in a panic on a Saturday night, our team is there to answer that call. It’s what we do, because it’s the right thing to do. Our personal, differentiated approach creates strong clinician loyalty and ensures that we recruit and retain the very best. If you believe what we believe, we’d like to explore a partnership with your organization. For more information about Aya Clinical Services contact ayahealthcarestaffing@ayahealthcare.com.